Built for ease – from maintenance to maneuvering. Durable: A high-displacement footprint allows the V-8s to work smarter – not harder –with lower revs to ensure longer engine life. Engine Guardian is standard and averts potential problems with timely intervention, while the Cool Fuel Module prevents vapor lock. High Technology: Long runner intakes pack more air into the chamber, while the advanced MPI system fine-tunes the fuel-to-air mix, producing more power on combustion. High performance aluminum cylinder heads improve mid-range acceleration. 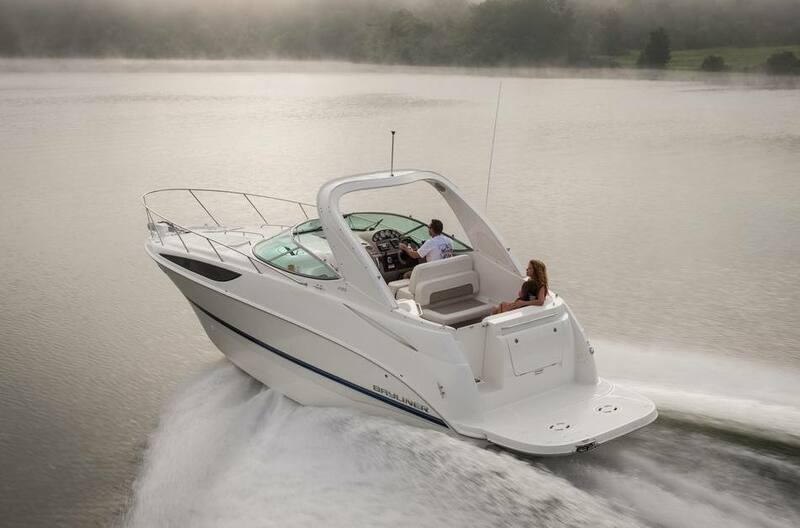 SmartCraft® Digital Throttle & Shift provides silky-smooth operation. Big Power From Little Gas: These big blocks put all the power you want on the line when you need it – just the ticket for larger cruisers. 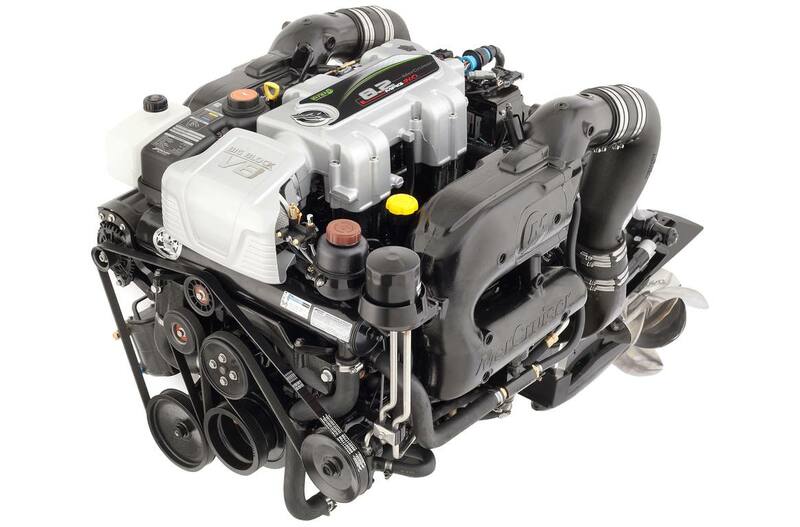 The high-output alternator generates 65 percent more power than previous models. Yet the MPI and ECT systems also ensure maximum fuel economy. And these engines take 87-octane gas! Corrosion Protection: The MercFusion Paint System creates an outer seal against the elements, while MerCathode® provides automatic protection against galvanic corrosion. For maximum defense against saltwater effects, the SeaCore® industrial hardcoat anodizing system and closed-cooling circuit is available with the Bravo® drive.